We love beach fun…and beach wheelchairs to add mobility and adventure to our travels. 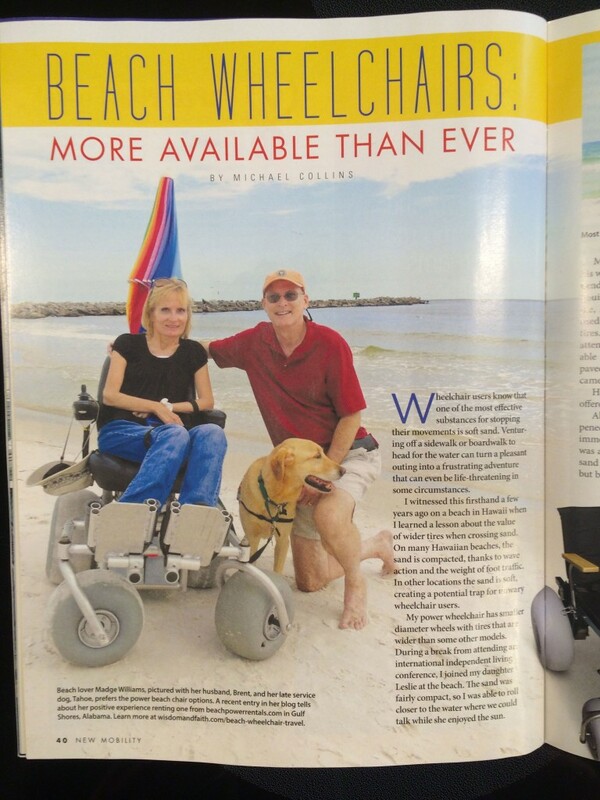 New Mobility magazine features our family as well as a variety of accessible beach options in this issue. beginning on page 42. We share a favorite spot near Gulf Shores, Alabama. Go to page 42…In Gulf Shores, AL with a powered beach wheelchair. Is your beach trip planned? We are always on the lookout for accessible travel options. Where is your favorite beach paradise? Does it have accessible features and beach wheelchairs available?